Four years after The Dark Knight, one of the most impressive films to be based off a comic book was released, The Dark Knight Rises is the final installment of the Christopher Nolan’s Batman triptych. The film utilizes many of the social, political, and economic anxieties that have surfaced since 2008, and successfully ups the ante in terms of urgency and conflict, particularly with the shadow of Heath Ledger’s masterful work with The Joker. Eight years after the events of The Dark Knight, Gotham has had years of minimal crime thanks to the Dent ACT, and Harvey Dent is a posthumously celebrated hero. Commissioner Gordon (Gary Oldman) lives with the guilt of covering up Dent’s last moments, and Bruce Wayne (Christian Bale) has holed himself up in his mansion and has retired Batman since that night. A clean energy project utilizing fusion has been shut down by Wayne himself with fear of it being altered to become a nuclear weapon. Meanwhile, police officer John Blake (Joseph Gordon Levitt) is one of few who have retained the crime-fighting spirit and has figured out Batman’s identity. Selina Kyle (Anne Hathaway) has a troubled history with burglary and has lifted one of Bruce’s most cherished possessions, his mother’s pearl necklace. Her connections to Bane (Tom Hardy) and her urge to obtain a clean slate is motivated to obtain Wayne’s fingerprints to target Wayne Enterprises. The Dark Knight Rises explores the mortality of justice against the background of universal disdain toward Batman. The citizens of Gotham believe that Batman is responsible for Harvey Dent’s death. Dent is a hero because of his convictions to stand up to organized crime with his Dent Act, which has eradicated most organized crime in the city. Meanwhile, Bruce Wayne struggles with a limp, has retired Batman since that fateful day, and has been neglectful of Wayne Enterprises, leaving the company on the verge of take-over. Since Nolan began to make large-budget pictures, the storylines in his films have become so convoluted that contextual dialogue must be removed for quicker, hokier exposition, elements that have plagued Inception and The Dark Knight. The Dark Knight Rises is a much tighter film, and the dialogue is actually of value (although Bale’s deep, raspy Batman voice is still difficult to hear at times). To tie up so many subplots, motivations, and retain continuity from the previous two films, The Dark Knight Rises is a marvelous film that tells a story in the a Hollywood tradition seemingly lost in most contemporary films. One scene in The Dark Knight has The Joker putting two ships up against each other in battle of humanity. In The Dark Knight Rises, again we see the humanity of the masses rise when called upon in order to subvert the villain. Nolan uses an effective element in his films, exploring the morality in the common citizen when placed against a peer. This theme that now cuts across all of Nolan’s Batman films is a brief study of humanity under the most severe condition; it is Nolan’s insistence that Gotham’s citizens are inherently good. Yes, there is still a lot of CGI, but that is not the central attraction to the film. In fact, the CGI is well implemented into the film, enough to barely recognize that it does not accurately fit. 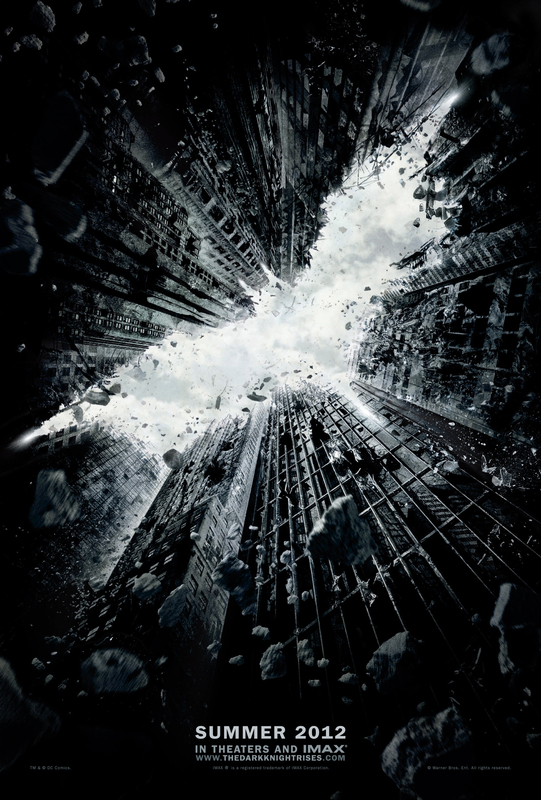 The film focuses on Bruce Wayne’s fading as a person and as a legend as he gains new allies. Catwoman’s intentions are consistently ambiguous early in the film, and her motivation matches the femme fetale film noir trope that has been a Batman staple. Blake has the convictions that seem to support veteran crime-fighters like Gordon and Batman, and he clearly has a mind and the enthusiasm unseen since Dent’s pre-mutilation rhetoric. 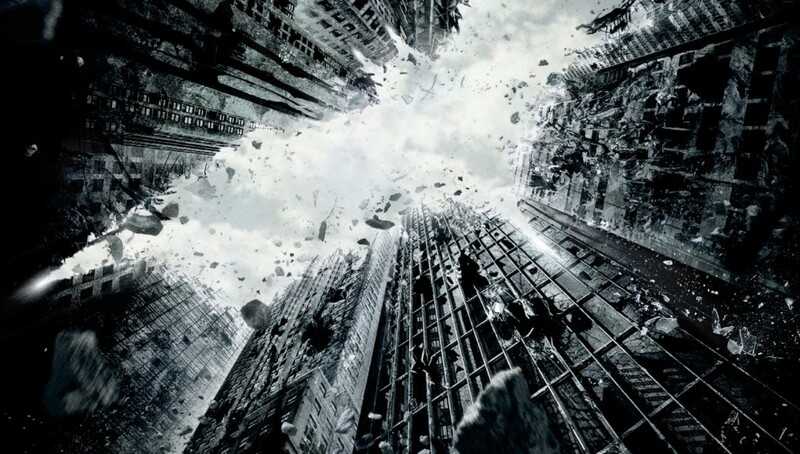 The opening night act of terror during a screening of The Dark Knight Risesin Aurora, Colorado has placed a black cloud over the film, and has done so forever. The villains in Nolan’s Batman revival have been some of the most vicious and unmerciful villains in film history. While the psychology and origins of the villains have a lot to with their motivations for evil—one of the charming aspects of Batman in general—finding such motivations in a literary and romantic sense is not the same as finding them in real life. Although we work tirelessly to prevent and understand violence and terrorism in the real, the attempt is useless in some cases as making sense of evil itself is absurd undertaking. The Dark Knight Rises is an amalgamation of all political, social, and economic topics that have arisen between the release of The Dark Knightand now. From the imagery that places the police in situations similar to the coal miners and references to Occupy Wall Street and the 99% sentiments, this contemporary depiction of Batman is a topical one, and it is one of the reasons why these films are so beloved and why Nolan’s Batman series is a strong moment for film history. The Dark Knight Rises effectively brings the whole triptych around, and successfully ups the ante on one of the most vicious villains to grace the screen, Heath Ledger’s Joker. Although Nolan’s last Batman film, he is holding out the baton for the next runner to take the reins, but a tough pass it will be. The Dark Knight Rises is an international cinematic event, where millions will be coming together to see the closing of a chapter in the Batman franchise and in Nolan’s filmography. Thus, this film is a fitting way to close these chapters and point to the future.